Changing weather, colors, harvest, shortened days and low sunshine. When I could, I walked over fields, and picked apples in the orchard -red and yellow fruit against blue October skies - and soaked into my memory as much of this fleeting season as I could. Though I seldom had the time to get out with my gear, I'm happy I was able to do a few paintings outside. I often had a dog or two for company. 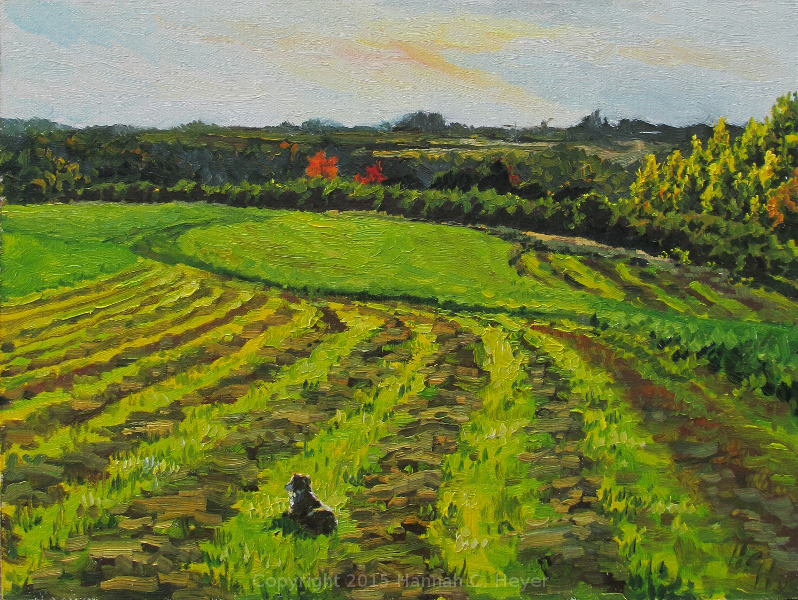 Farm Dog, October 10, 9 x 12" plein air oil on linen/hardboard. The season changes quickly. By the time I painted this one, only a few late-blooming wildflowers still stood amongst the brown weeds and seed heads. 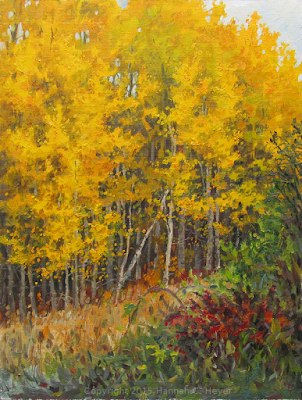 The aspen leaves almost glowed. 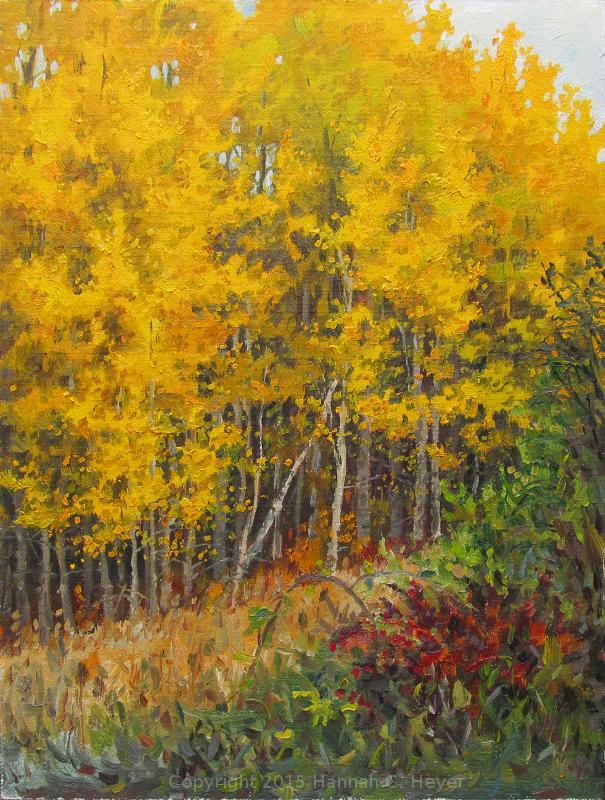 Golden Day, October 21, 12 x 9" plein air oil on linen/hardboard. At times, the hills across the valley looked beautifully blue. On this day, the sinking sun back-lit a glory of oak leaves as the shadows grew long in the woods. 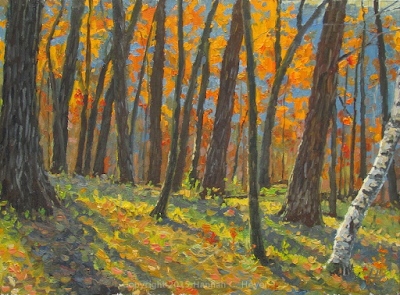 Oaks and Shadows, October 25, 9 x 12" plein air oil on linen/hardboard.